SAIK BASIC key cabinet was created in response to the demand of institutions and firms which want to solve the problem of circulation and protection of all the keys that they use with a limited budget at their disposal. 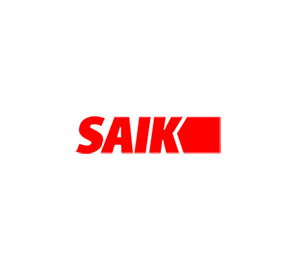 SAIK BASIC provides basic functions which enable proper key management at a low cost related to the implementation of the system. Main difference in relation to other systems is that the keys are not blocked in their sockets. 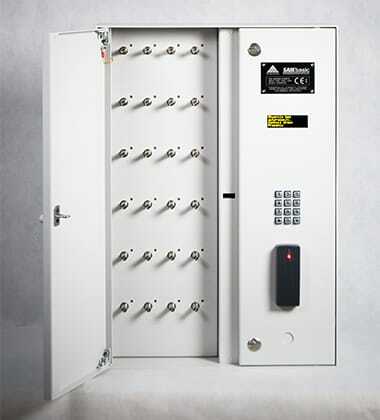 This means, that the user authorized to open the cabinet has got access to all the keys deposited in the device. Unauthorized collection of the key shall be instantly recorded in the reports and can be defined by the system administrator as an alarming situation signaled acoustically and optically. Unlike other SAIK series devices , BASIC type cabinets are controlled with the help of simplified software based exclusively on the Internet browser. Besides, there is no possibility to expand the system, modify the software or change the number of keys or color of the cabinet to other than standard. The cabinet also does not have a touch screen, only a metal keyboard and a small alphanumerical LCD display. The device is delivered in the insured courier package together with the installation manual.